PMW Property began construction of this new industrial site at the beginning of 2018 and completion is expected by the end of 2018. The site will provide a total of 48,966 sq ft of industrial space divided in to 10 individual units ranging from 4247 sq ft to 5880 sq ft. Of the ten units that are being built, six have now been sold/leased. Optimum Business Park forms part of Swadlincote’s established industrial and commercial centre off William Nadin Way and consists of ten self contained warehouse or industrial units, all available individually or in various size combinations to buy or rent. 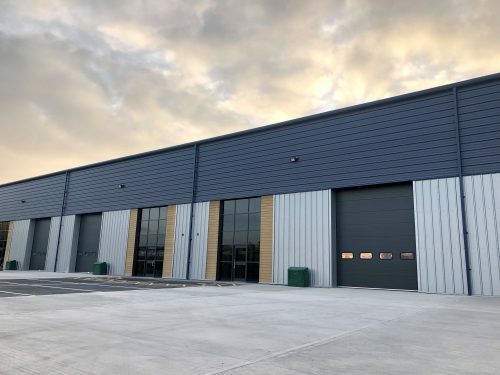 The units are set on a securely fenced and gated site, with each unit benefiting from its own delivery access and allocated car parking spaces.